Ten years ago, a horrifying family incident left two young children orphans. Although authorities charged the brother with murder, his sister believed that the true culprit was a haunted antique mirror. 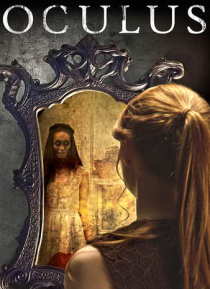 Now completely rehabilitate and in his 20s, the brother is ready to move on but his sister is determined to provide that the haunted mirror was responsible for destroying their family.